This piece was created base on the PIPA Earrings technique. 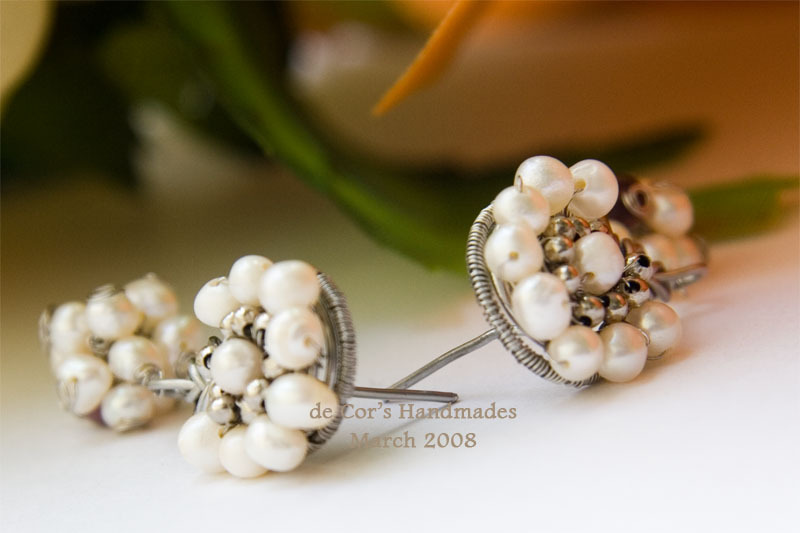 Do check out my PIPA Earring Tutorial in my store at http://www.etsy.com/view_transaction.php?transaction_id=7367317 or Blog if you are interested. Those who already have the tutorial can try to make your own post earrings, the nature of PIPA knotting enable you to create this piece with extra minimal effort. These earrings are created with two different gauges of Stainless Steel Wires, hence it will not tarnish under normal wear. Lots of tiny white freshwater pearls has been added, and below the focal it hang a Freshwater-Pearls-Ball with a Purple CatEyes. 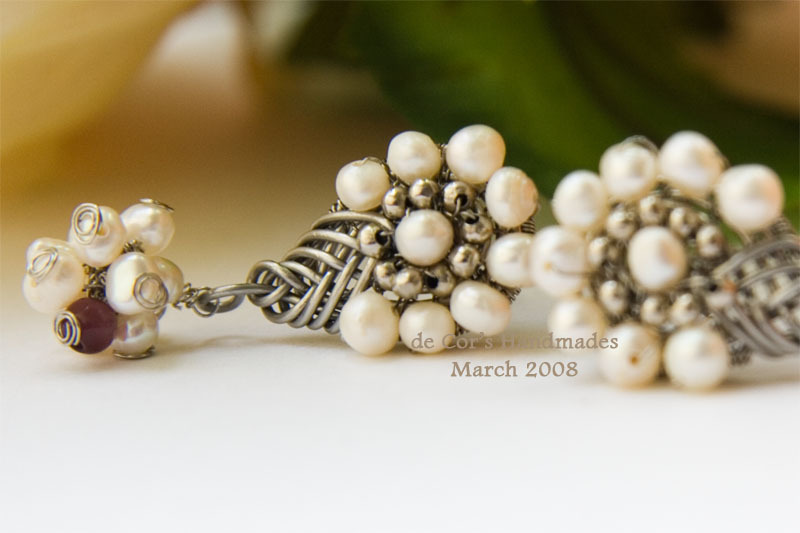 The white freshwater pearls at the center is surrounded by lots of tiny metal beads. All arranged layer by layer. Very time consuming piece, and lots of patient and passion have been invested. This pendant is approximately 4.0cm tall and 2cm at its widest measure, its simple and clean design suitable for anytime wear. Gorgeous, Corra! Stainless steel...now that's something I didn't think of before. I may need a second pair of wire cutters for it but it's beautiful and I hope it gets a very good owner! You have some beautiful jewellery and GREAT photography.